California State University Dominguez Hills appears in our ranking of the Top 15 Online Adult-Gerontology Clinical Nurse Specialist (AG-CNS). Since Fall 2012, the College of Health, Human Services & Nursing has customized the 120-unit B.S. in Health Science led by Dr. Pamela Krochalk for Community Health, Radiologic Technology, and Health Care Management options dedicated to mobilizing medical resources. Chaired by Dr. Elena Kulikov, the B.S. in Public Administration offers the 120-unit Health Services Administration track at a 21:1 student-professor ratio with Pi Alpha Alpha membership for leading nonprofit facilities. On Blackboard, the M.S. in Nursing started the 30-unit Nurse Administrator track for flexible NE-BC certification preparation directed by Dr. Kathleen Chai with 288-hour practica like Kaiser Permanente and Harbor Free Clinic. The Master of Public Administration follows a 36-unit, NASPAA-accredited plan mapped by Dr. Marie Palladini that’s thesis optional after fast eight-week Health Care Policy and Administration Concentration courses online. Partnered with VA Long Beach, the 64-unit M.S. in Health Science under Dr. Mark Muller also mandates 240 practicum hours in the Orthotics & Prosthetics Option for specialized practice management. California State University Dominguez Hills originated on April 29, 1960, when Governor Edmund G. Brown authorized the building of South Bay State College. In 1964, modernist architect A. Quincy Jones designed its temporary Greater LA campus. The next January, Dr. Leo Cain welcomed an inaugural class of 40 to California State College at Palos Verdes. By 1968, it relocated to Juan José Dominguez’s 346-acre historic ranch in what’s called the Small College Complex. Visited by Senator Joseph Biden in 1977, it adopted the current name California State University Dominguez Hills that year. In 1994, CSUDH expanded by creating the California Academy of Mathematics and Science for Grades 9-12. The Extended Education Office also launched in 2000 for pioneering online degrees. Budgeting $240.3 million, Dominguez Hills now enrolls 14,687 Toros from 85 countries online and on-site with 100+ clubs like the Pre-Health Society. The U.S. News & World Report ranked Dominguez Hills the West’s 88th best college and 32nd top public university with the 115th best online nursing degrees nationally. On Niche, CSUDH boasts America’s 48th most liberal academics, 524th safest campus, 548th best athletics, and 569th hardest admission. The Equal Opportunity Project placed California State University Dominguez Hills 18th overall. Washington Monthly deemed CSUDH the 14th best regional value. Diverse Issues in Higher Education noticed Dominguez Hills for the 30th most Hispanic graduates. The Economist positioned CSUDH 63rd for above-average earnings potential. PayScale recorded a 20-year net ROI of $322,000 for California State University Dominguez Hills alums. College Factual also proclaimed CSUDH the country’s 22nd best health science school and 67th top nursing value. On July 20, 2018, the Western Association of Schools and Colleges (WASC) Senior College and University Commission sent formal notification that California State University Dominguez Hills satisfactorily passed the 10-year Level III accreditation review under its eighth president, Dr. Thomas Parham. Headquartered 382 miles north via Interstate 5 in Alameda, this nonprofit nine-territory Pacific accreditor is recognized by the Council on Higher Education Accreditation (CHEA) to evaluate CSUDH’s 44 baccalaureate and 21 master’s majors. Specifically, the Nurse Administrator MSN Online was reaccredited by the Commission on Collegiate Nursing Education (CCNE) in November 2018. The Master of Public Administration is also approved by the Network of Schools of Public Policy, Affairs, and Administration (NASPAA). Entering California State University Dominguez Hills is labeled “moderately difficult” by Peterson’s since 9,333 of the 12,094 Fall 2017 applicants conquered the 77 percent acceptance rate. First-year Toros seeking the Health Care Management B.S. Option must graduate high school with at least “C” grades in 15 college-prep units. For the eligibility index, freshmen multiply their GPA by 800 and add SAT scores. Multiplying GPA by 200 and adding ACT scores times 10 also works. California residents need minimum 2950 or 694 marks. Out-of-state undergrads must exceed 3570 or 842 though. Note only upper-division transfers with at least 60 semester units and 2.0 GPAs will qualify. The School of Graduate Studies mandates a four-year baccalaureate with 3.0 GPAs in the last 60 accredited units. Online MSN in Nurse Administrator entrants need RN licensing plus prerequisites like Pathophysiology and Health Assessment. The Online MPA requires a Graduate Writing Assessment for a minimum 4.0 GRE or 8.0 GWE score. Hopeful M.S. in Health Science students also need 40+ hours of volunteer work. California State University Dominguez Hills has a priority freshman application period of October 1st to December 15th. Undergrad transfers apply until November 30th for Spring and July 15th for Fall starts. The Online MSN has document deadlines of November 15th and August 1st yearly. Selective M.S. in Health Science cohorts of 24 are chosen after December 31st. Master of Public Administration forms are due October 1st or June 1st. Accordingly, log into the Cal State Apply portal online and pay the $55 non-refundable fee. Request transcripts for mailing to 1000 East Victoria Street in Carson, CA 90747. Use SAT/GRE code 4098 and ACT code 0203 for electronic test results. Supplemental items often include the immunization form, letter of intent, nursing license, professional résumé, and two reference letters. Please contact (310) 243-3645 or admit@csudh.edu with other questions. For 2018-19, California State University Dominguez Hills has charged full-time B.S. in Health Science majors $5,742 annually. Part-time undergrads pay yearly tuition of $3,330. Campus-based fees add $1,195 every nine months. Non-residents are billed $396 extra per unit. Books and supplies cost an estimated $1,900. Living at the Carson campus’ dorms like Hillside Court incurs $10,733 for room and board. Annual bachelor’s attendance equals around $22,391 in-state and $34,271 out-of-state. The Online MPA in Health Care Policy and Administration costs $600 per unit or $21,600 total. On-campus M.S. in Health Science cohorts spend $945 per unit for $60,480. Nurse Administration MSN Online tuition is $670 per unit or $20,100 overall. According to the NCES College Navigator, the Financial Aid Office in Welch Hall disburses $82.83 million combined for 79 percent of CSUDH Toros to open packages averaging $8,271 each. University funds include the Catalina Island Scholarship, Dr. Herman Loether Memorial Scholarship, Dr. Lois Chi Science Scholarship, Jamina Barnes Memorial Scholarship, Katherine Bogdanovich Loker Scholarship, Leonard Moite Memorial Scholarship, Nursing Scholarship, Yvonne Brathwaite Burke Scholarship, and Tri-Carson Scholarship. The Presidential Scholars Program covers 100 percent of four-year tuition for minimum 3.5 bachelor’s GPAs. The 23-campus CSU System offers awards like the Edison Scholarship, Robert M. Odell Scholarship, and Dale Schoettler Scholarship. Completing FAFSA applications coded 001141 by May 9th unlocks Federal Pell Grant, SEOG Grant, Stafford Loan, and Work-Study opportunities. On-campus M.S. in Health Science cohorts qualify for the $4,500 Graduate Equity Fellowship. Californians pursue the State University Grant, Cal Grant, Dream Loan, Chafee Grant, and more. The Middle Class Scholarship also applies to AB540 students with family income under $171,000. 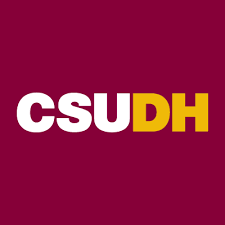 Find more about California State University Dominguez Hills at the College of Health, Human Services & Nursing website.